giffgaff is a low-cost mobile network with coverage from O2. 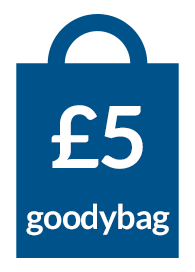 Goodybags start from £5/month and are flexible with no credit check required. In the UK, giffgaff is a low-cost mobile network using coverage from O2. The network, which is a fully-owned sub-brand of O2, offers a choice of one-month goodybags from £5/month. There are no contracts to sign and no credit checks to undergo, giving you flexibility to stay or go at any time. It’s also possible to use giffgaff on a purely Pay As You Go basis, with no monthly minimum spend. In this article, we’ll take an in-depth look at the giffgaff service including the bundles available and other key features of giffgaff (such as 1GB of extra data, free calls to other giffgaff members, online community-driven support and Always-On data). We’ll also compare the prices on giffgaff to other major mobile networks before looking at the level of coverage you can expect and how to keep your existing phone number. You can buy a 1-month goodybag bundle to cover your usage. This is normally the best value option for regular mobile users and smartphone owners. Your Pay As You Go credit is converted into a 30-day allowance of minutes, texts and mobile internet. Giffgaff has a range of goodybag bundles from £5/month. You can Pay As You Go at 15p/minute, 5p/text and 5p/MB. This is normally better value for light users who’d spend less than £5/month. When using giffgaff on traditional Pay As You Go, there’s no need to top-up every month. Your credit also won’t expire providing you use your SIM card at least once every 6 months. 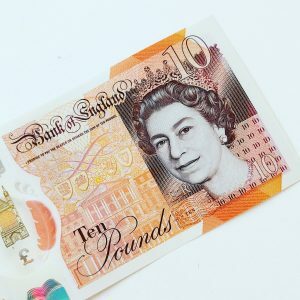 It’s possible to combine the two methods of paying for your usage (for instance, only buying a goodybag in the months when you’re likely to use your phone more). You can also use Pay As You Go in addition to your goodybag allowance (topping up with additional credit when your goodybag allowances run out). On giffgaff, it’s also possible to make low-cost international phone calls from 2p/minute. For most giffgaff members, the best value way to use giffgaff is to buy regular monthly goodybag bundles. With goodybags, you’ll convert your Pay As You Go credit into a one-month allowance of calls, texts and mobile internet. On the £10, £12, £15 and £20 goodybags, you’ll receive 1GB of additional data for free every month from your third goodybag purchase onwards. This boosts your inclusive allowance so you’ll get 4GB of data for £10/month, 5GB of data for £12/month, and so on. At the end of each month, you’ll receive a “recommended best plan” e-mail showing your usage over the past month and giffgaff’s recommended goodybag. For convenience, you can decide to automatically renew your goodybag every month. If you do this, your account will topped-up automatically from a saved credit card, debit card or PayPal account. With this feature enabled, giffgaff will work in a very similar way to Pay Monthly SIM-only deals (i.e. without the hassle of needing to manually top-up your SIM card every month). giffgaff’s £25 goodybag comes with Always-On data. This gives you unlimited downloads, with 4G speeds on the first 20GB per month. If you reach the 20GB limit, you’ll still be able to access the mobile internet but download speeds will be capped to 384kbps between 8am and midnight each day. If you either don’t want to buy a goodybag bundle or have already used up all your goodybag allowances, you can use giffgaff on a Pay As You Go basis at their standard rates. On giffgaff, standard UK phone calls cost 15p/minute and texts cost 5p each. Accessing the mobile internet is 5p/MB (discounted to 2p/MB if you have an active goodybag but have used up your goodybag data allowance). * You’ll get free calls, texts and video calls to other giffgaff members providing you top up at least once every three months. Free giffgaff-to-giffgaff calls can last for up to 60 minutes (though you can hang up and re-dial after one hour). giffgaff’s Pay As You Go rates are reasonably expensive compared to some rival networks. For instance, you can get cheaper rates on O2 Classic Pay As You Go (just 3p/minute, 2p/text and 1p/MB), albeit this comes without benefits such as the free giffgaff-to-giffgaff calling. For more information, our guide to Pay As You Go mobile networks has a full side-by-side comparison of Pay As You Go rates. Another key benefit of giffgaff is the ability to make low-cost international phone calls. You can call abroad to countries like China and India from just 2p/minute (bizarrely, this is a lot cheaper than calling a phone number in the UK!). You can also send international text messages for 8p each. Cost of international calls & international text messages on the giffgaff network (calls & texts made to a phone number in another country whilst you're in the UK). Last updated on 8th January 2018. Source: giffgaff.com. For more information, see our full comparison of international calling rates. This includes a full side-by-side comparison of the international calling rates on EE, giffgaff, Lebara Mobile, Lycamobile, O2 and Vodafone. 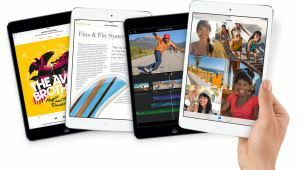 In the past, giffgaff offered a separate line-up of “gigabag” packages for members who wanted to use a SIM card in their tablet or mobile broadband dongle. As of July 2018, gigabags (or “data-only goodybags”) are no longer available for purchase. However, you can still use a standard goodybag to get connected from your tablet or mobile broadband dongle. * The increased data allowance is only available from your third goodybag purchase onwards. The 1GB of extra data makes giffgaff an even more attractive option compared to other networks. At the time of writing, the 1GB of extra data is not available on the £5 or £7.50 goodybags. It also doesn’t apply to the £25 goodybag, as this already includes Always-On data. Members of giffgaff are able to call and text each other free of charge providing they’ve topped up at least once in the preceding 3 month period. Free giffgaff-to-giffgaff phone calls can last for a maximum of 60 minutes, after which you’ll be charged the normal UK rate (that’s 15p/minute if you don’t have a goodybag allowance, or it’s deducted from your goodybag allowance if you have one). You can hang up and re-dial to continue talking free of charge with a new 60-minute limit. There’s no need to undergo a credit check before getting a giffgaff goodybag. giffgaff’s goodybag bundles are fully flexible. This means you can change your goodybag bundle on a month-by-month basis (including deciding not to buy a goodybag in a given month and deciding to use normal Pay As You Go pricing instead). You can also decide when to start your next one-month goodybag (including renewing it early or leaving a gap before your next goodybag starts). 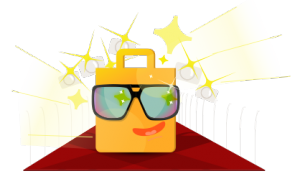 To help you choose the most appropriate goodybag, giffgaff will send you a personalised e-mail at the end of each month. The e-mail will show you how much you’ve used your phone over the past month and will highlight the best value plan you should be using (including when regular Pay As You Go will be cheaper than buying a goodybag). Another benefit of giffgaff is it’s a fully pre-paid option, with no credit facility available. This means, unlike on Pay Monthly providers, there’s no need to undergo a credit check before you can get a SIM card on giffgaff. This makes it an ideal option for under-18s and for others who aren’t able to pass a credit check (e.g. students and visitors to the UK). You can buy an unlocked handset from the giffgaff phone store. Traditionally, most users have ordered a free SIM card from giffgaff which is designed to slot inside any unlocked smartphone. However, since 2013, giffgaff has also sold their own unlocked smartphones on an unbundled basis. At present, they’re offering a selection of handsets from Apple, Samsung, Sony, Huawei and more. When buying a handset from the giffgaff phone store, you can either pay the full price of the handset upfront or you can split up the cost over between 6 and 24 months. If you decide to split up the cost of your handset, you’ll be taking out a P2P financing plan provided by RateSetter. Typically, you’ll need to pay £25 upfront and then an interest rate of between 18.9% and 21.6% APR on the remaining amount. You’ll need to be 18 or older to qualify for the handset financing option and will undergo a soft credit search during the application process. No credit check is required if you pay the full cost of the handset upfront. 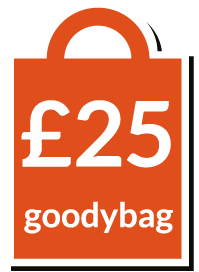 Alongside the cost of your handset, you’ll be making separate monthly payments for your goodybag package. The good news is your goodybags will remain flexible even if you buy a handset from giffgaff (so you can change or cancel your goodybag at any time or even move to another mobile network whilst continuing to pay for your handset). For a full list of available handsets, see the giffgaff phone store. You can also read our in-depth review of giffgaff’s handset offering. giffgaff offers 24/7 customer support through an online forum. Knowledge Base. giffgaff provides an online knowledge base with answers to frequently asked questions about the service. The knowledge base is maintained by members of the giffgaff community. Community Forums. 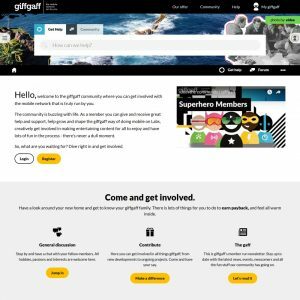 For non account-specific queries, giffgaff provides an online forum where questions can be asked around the clock. According to the giffgaff, the average response time is 90 seconds for questions posted in their forum with other members often racing to answer it so they can earn Payback rewards. Ask an Agent. For account-specific queries, giffgaff provides an e-mail support service known as ‘Ask an Agent’. Common reasons to contact an agent might be account-related issues, balance queries or payment-related questions. It typically takes up to 24 hours to receive a response from a giffgaff agent. You can earn £5 for each person you introduce to giffgaff. Another unique feature of giffgaff is their Payback rewards system. This gives members the opportunity to earn cash or free credit by introducing friends to giffgaff or by posting in the giffgaff online community. 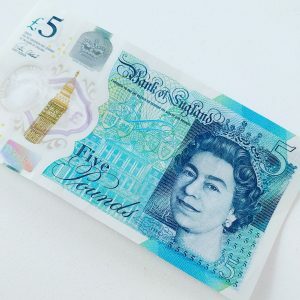 Members will earn £5 for each friend they introduce to giffgaff (friends must activate their SIM card and top-up by at least £10 for you to qualify for the bonus). If you introduce more than 15 people to giffgaff, you’ll move to the Super Recruiter programme where you can earn up to £22 per introduction (subject to volume and your friends topping up their SIM card three times). In the community, you can earn payback for answering support queries and by submitting and voting on new ideas for the giffgaff network. The exact formula used to calculate payback is described in a forum post here. Accumulated Payback is sent out to members twice per year in June and December. To qualify, you’ll need to have used your phone at least once in the preceding three months. You can elect to have the money added to your credit, or you can have it paid out as cash via PayPal (subject to a £10 minimum). It’s also possible to donate your Payback to charity (in which case, it will be matched by an equivalent donation from giffgaff). In the UK, giffgaff is fairly unique in offering a tariff that gives you unlimited downloading. Apart from giffgaff, only Three offers unlimited downloads through their all-you-can-eat data plans. On giffgaff, Always-On data is available on the £25 goodybag. This gives you unlimited downloading so there’s no need to worry about running out of data mid-month. With Always-On data, you’ll get 4G speeds on the first 20GB per month. After this, your download speeds will be restricted to 384kbps between 8am and midnight each day. When you’re travelling to other European countries and taking advantage of giffgaff’s inclusive EU roaming, there’s a limit of 20GB/month for roaming data usage inside the EU. Further usage beyond the 20GB limit will be charged at 0.6p/MB. For £7.50/month, giffgaff offers a goodybag with 250 minutes, unlimited texts and 2GB of data. For 50p less each month, you can get 300 minutes, unlimited texts and 1GB of data on ASDA Mobile’s £7 bundle. giffgaff’s £10 goodybag comes with unlimited minutes, unlimited texts and 3GB of data (increased to 4GB once you’ve been a customer for 3 months). For the same monthly price, most other mobile networks offer much fewer minutes and data. For an alternative deal, customers joining ASDA Mobile can get 600 minutes, unlimited texts and 3GB of internet on their £10 bundle (ASDA Mobile uses 4G coverage from EE). For £20 per month, giffgaff offers unlimited minutes, unlimited texts and 20GB of data. This is a clear market leader at the £20 price point, with most other networks offering substantially less data. 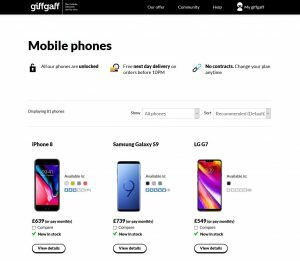 There are two ways of using your handset on giffgaff: you can either order a free SIM card for your unlocked smartphone or you can buy a new unlocked handset directly from giffgaff. If you’d like to use an existing smartphone that you’ve purchased from elsewhere, you should make sure the handset is unlocked for use on giffgaff. You can buy a new unlocked smartphone from various online retailers, with the Moto G currently being one of our favourite unlocked devices. 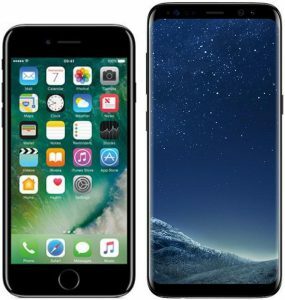 If you need to unlock your existing mobile phone, see our guides to unlocking an iPhone and unlocking a Samsung Galaxy smartphone. If you’d like to buy a new handset directly from giffgaff, you can order one through the giffgaff phone store. At present, giffgaff have a selection of unlocked smartphones from manufacturers such as Apple, Samsung, Sony and Huawei. You can either choose to pay the full cost of the handset upfront or you can split up the cost over up to 24 months. On giffgaff, your Pay As You Go credit won’t expire providing your SIM card remains active. To keep it active, you’ll need to make a phone call, send a text message, access the internet or top up your phone at least once every six months. This is stated in clauses 13.3 and 13.4 of the giffgaff terms and conditions. If you’re converting your Pay As You Go credit into a goodybag bundle, the allowances on your goodybag will expire one month after the goodybag purchase. For more information, see our full guide to credit expiry on UK mobile networks. 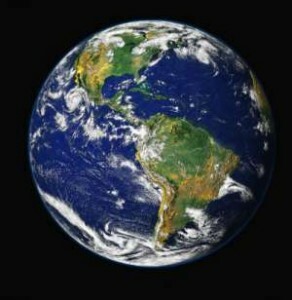 giffgaff offers 99% population coverage using O2’s network. giffgaff uses O2 as its network coverage provider, so members of giffgaff will get the exact same coverage as customers on O2. At the time of writing, giffgaff offers 99% population coverage, including 98% coverage on 3G and 97% coverage on 4G. 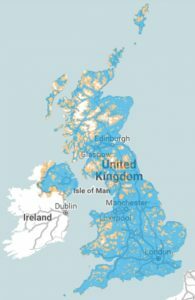 For more information about the coverage on different mobile networks in the UK, please see our in-depth guide to mobile coverage in the UK. 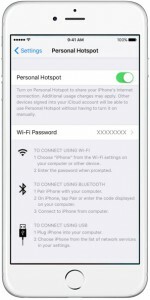 Tethering or portable hotspot refers to the process of sharing your mobile internet connection with other devices (e.g. with your laptop or tablet). It’s typically used to get your other devices connected to the internet whilst you’re on-the-move (e.g. for working on the train or for surfing the internet in a coffee shop where wi-fi isn’t available). On giffgaff, it’s possible to tether using the data allowance on your bundle. The only restriction worth watching out for is on the £25 goodybag where your speeds will be slowed down after the first 20GB per month. For more information, please see our full guide on how to tether from your smartphone and on the tethering policies for each UK network. It’s a straightforward process to transfer your existing phone number to giffgaff. 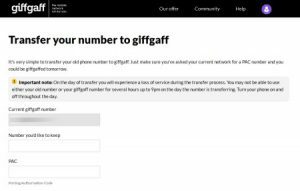 If you’re changing from another mobile network to giffgaff, it’s a straightforward process to keep your existing phone number. Firstly, you should order your new phone or SIM card from the giffgaff website. Once you’ve done that, contact your old mobile network to ask for a PAC Code. This is a nine-digit code that authorises the transfer of your phone number to giffgaff and it’s a legal requirement for your current mobile network to provide it within 2 hours of your request. Once you have the PAC Code from your old network, log in and fill out this form on giffgaff’s website. After you do this, your phone number transfer will normally be scheduled for the next working day (or for two working days time if you submit it after 3pm). Until your phone number moves over, you’ll continue receiving coverage on your old network. Be aware that it’s not possible to transfer credit from your old mobile network to giffgaff so you should try to use it up before the phone number transfer. For more information, see giffgaff’s official website. You can also order a free SIM card from giffgaff online or you can buy a new handset with a giffgaff SIM card included. We'd love to hear your thoughts and any questions you may have. So far, we've received 57 comments from readers. You can add your own comment here. Hi I was looking to find out about your 30 goody bag watt is it ? Many thanks for your comment. Unfortunately, I don’t represent giffgaff, but anyway there is no longer a £30 goodybag available for sale. The most expensive is currently their £25 goodybag which gives you unlimited minutes, unlimited texts and Always-On data. As of yesterday new Goodybag allowances kicked in eg £7.50 one now gets 2GB Data so guess You might wish to now update this but guess what I’d be most interested to see is how long it takes the competition to respond accordingly in which case a lot more updating would beckon . . . Great site this I find for good objective overview of PAYG! Hi Ken..superb site. Thank you for making the effort to put so much information for your readers. I want to get the Giffgaff 20 pounds. But do they post the SIM to Malaysia? We live in Switzerland and come to Cornwall 2 or 3 times a year. Every time for 1-3 weeks. Which SIM card (4G / LTE SIM) and which provider should we use? We need only Internet (about 3 hours / day) and is it possible if we are not in England to stop a subscription (monthly, or Goodybag or prepaid without subscription) and use again next time? Many thanks for the comment. I think firstly it’s worth having a look at my guide to UK mobile coverage (particularly as you’re travelling to Cornwall which has patchy coverage at times). The most important thing is figuring out which network coverage providers serve the area you’re visiting (once you’ve done that, you’ll know which mobile networks it’s possible to use on your phone). More generally, I’d recommend getting a Pay As You Go tariff with a 30-day bundle that allows you to tether. giffgaff is a fantastic choice and is probably my recommended network for visitors to the UK. Each time you visit the UK, you can buy a goodybag which will last for 30 days. There is no obligation to then renew that goodybag immediately – instead, you can just wait until the next time you visit the UK. Your SIM card will remain active for future visits, providing it isn’t unused for a period of more than 6 months. Thanks for the quick reply – and it is very useful! I was unsure if I had interpreted the detailed explanations of the website correctly and it seems that I thought in the same direction. Therefore I will test the next visit (September) what is really good. I am glad that there is your website and the many advices, again great thanks for it. Just for info giffgaff is owned by telefonica not o2. Both companies are owned by the parent company. Its like plusnet, its not owned by EE its owned by BT group which also own EE but Life mobile was owned by EE confusing i know but worth getting it right. Also ken anyway you can get your site to open new windows when you click on a link the anount of times i click through then close the window only to find your websute gone is very frustrating lol. Most other sites open a new window. Not a moan just a suggestion. But keep up the good work. It seems niw that EE based and three based mvno’s are cheap but o2 based mvno’s are expensive any reason for this? With regards to giffgaff’s ownership status, I was under the impression they were a subsidiary of O2 rather than a sister company (e.g. from this thread on the giffgaff forums). I’ll do a bit of further digging, but let me know if you think this thread is no longer accurate! With regards to opening new windows, thanks also for the feedback on this! Personally, I find it really annoying when websites open links in new windows or tabs. For this reason, I’m probably against changing the behaviour on this website (but on your side, you can always hold down either Shift or Control when clicking a link to open it in a new window/tab). I’m coming to the UK next week and am planning on popping a Giffgaff SIM into my phone whilst I’m there. I’ll get a Goodybag, but how are international calls charged? Do I have to set up something different? Thanks for your comment. On giffgaff, you’ll automatically benefit from the lowest international rates (there’s no need to set-up anything additional or to opt-in to any offers). Am I the only one who although is a giff gaff user, does have continuous problems with phone calls or texts? People never find me on the phone as the giff gaff voicemail kicks in immediately as if I live in a remote village in Scotland. I also attempt numerous calls but I cannot easily reach them. It is a bit of a problem to be in London, to want to deal with personal and business calls and almost never be reached on the phone and at the end of the day, we are in 2016, not in 1900. Apart from the goodybags and all these cheap and cheerful faces, does giff gaff work? In my experience, it doesn’t! Any ideas on how to fix the lack of signal reception, since the online community does not mention that at all? Disappointed. But am I the only one? This is an important update as you can now link your giffgaff topup to paypal and avoid using topup vouchers. Further, you can set up a recurring goodybag (amount of your choice) and have continuous Giffgaff service. I last used Giffgaff in 2012 when you needed to purchase a topup voucher every 30days and then go online and convert the topup into a goodybag – you had to do this every month otherwise you were unable to make calls and this was inconvenient. The 0.49p/min Mobile Termination Rate cap for 1 April 2016 onwards is expressed by Ofcom in terms of ‘2012 pricing’. 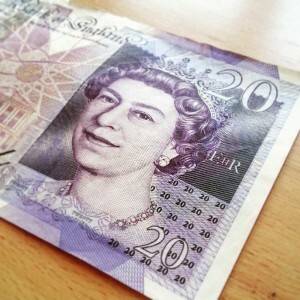 Taking inflation into account, the actual rate will be slightly higher, and believed to be around 0.51p/min. I assume Ofcom will update their table around 1 April 2016. The provisional figure mentioned in the ‘MCT 2015-2018 Review’ Final Statement document on Ofcom’s website is 0.51p/min. I have been with Giffgaff for about 5 years when it used to be good value. But to receive 10 days notice of a 50% increase in call charges is just not on. 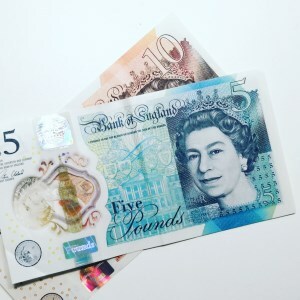 at 15p per minute, you will already have spent more than £5. Beyond usage levels of just 33 minutes per month (less if you also send text messages or use the internet) it’s time to get the £5 goodybag. This comes with 125 minutes of calls, 500 text messages and 100MB data. Thanks for the heads up about this! I’ll get the website updated over the next few weeks as giffgaff moves over to their new pricing structure. Just a word of caution to people considering giffgaff – the data speeds are dreadful. Giffgaff dont really care. Much better operators out there. Thanks for your comment and a very good question! I don’t believe giffgaff has any political connections (it’s simply a part of O2 which is then owned by Telefonica, a company based in Spain). With regards to TPO, I don’t believe their connections are explicit (the company was however started by donors to Labour and they’ve also assisted in many Labour campaigns). Hi… I was looking what 30 day rolling contacts as I’m out of contact with T-Mobile and don’t need another contact as I’m moving country at the end of the year. Giffgaff seems to have good packages but I just wanted to ask if there is any other similar packages that I could consider to see me through to the end of the year. Also, can I set up a direct debit to recredit the package on a monthly basis until I want to cancel it? giffgaff is certainly a good option: they provide good value without you actually needing to sign any contracts. With regards to paying by Direct Debit, unfortunately this isn’t possible on giffgaff. A fairly good alternative is the auto top-up feature. Every month, giffgaff will take the relevant amount from your credit card automatically (it’s similar to Direct Debit but uses the long number on the front of your credit card instead). You can turn this feature on & off at any time. Seeing as GiffGaff, ASDA Mobile and IKEA FamilyMobile all have the same PAYG, what is the best one for a PAYG smartphone (although I might buy a bundle once in a blue moon if bundles are available)??????? All three options could be perfect good – it really depends on how you use the handset – there isn’t a one-size-fits-all network I’d like to recommend. In general, I would recommend you first consider coverage on the networks – there’s no good choosing a network if you aren’t able to get coverage in your home. The article I’ve linked to will help you through the process of comparing network coverage. Once you’ve got a shortlist of the networks you’d like to consider, you can then compare the prices or the bundles available on the network. Finally, you could have a look at all my mobile network reviews: they should hopefully help with clarifying some of the details about the network you’ve chosen. Good luck and do feel free to drop me another message if you have any specific questions! Hi, If I order a sim card and I want a new number, is it possible to have a say in my new number? ie, something easy to remember. Unfortunately it isn’t possible to choose your own phone number when using giffgaff. As far as I’m aware, the only network allowing you to do this at no extra charge is IKEA Family Mobile who currently charge 8p/minute and 4p/text. Of course, once you have the phone number issued by Family Mobile, you can then transfer it to the network of your choice (i.e. you could use that custom number on giffgaff). As a foreigner I’m interested in a short term solution to mainly internet connection during a vacation. Most operators seem to require a UK adress to ship the SIM to. Do you have any suggestions if I would like to have the SIM before actually arriving in the UK or do I have to go to a shop once in the UK? Unfortunately if you order a SIM card online, you’ll normally need to have an address in the UK. Sometimes, it will be possible to order a UK SIM card whilst in another country – this will normally be through a third-party retailer (e.g. there might be someone selling UK SIMs on eBay). The easiest thing to do would be to probably get the SIM card from a shop in the UK (you can either do this at the airport or you can find a shop close to your hotel). This would obviously restrict you to the major networks which actually have a retail store presence (EE, O2, Three and Vodafone). You can see a comparison of their offerings here, here and here. i wish to know how many subscribers that giffgaff have now? and how about the company’s revenue and OBIDA? why giffgaff could run well by the lowest pricing? Thanks for your comment. Unfortunately, I don’t have any concrete figures about giffgaff’s subscriber numbers and company revenue. The most recent press report was from November 2013 where it was said that giffgaff have 1m+ subscribers. For revenue and accounting information, your best bet would be the Companies House accounts. However, at present, these are only made up to December 2012. Thanks for your comment! giffgaff has some pretty good network speeds – 3G is provided by O2’s network and you’ll get the same speeds as customers on O2 (see the Coverage & Network section of the review). Peak speeds can sometimes be higher on Three but O2 still has very good coverage and there might be little noticeable difference in every day usage. Regarding your question about tethering, you can tether on giffgaff but only on packages without unlimited data (i.e. goodybags of £10/month or less). If you’re looking for unlimited data plus tethering, your only real option is to go with Three’s All You Can Eat data. I am a new customer on Gifgaf, I bought a £10 goodybag which was great. For my £10 pounds i got 250 minutes Unlimited texts and 1 Gigabyte of internet. My problem and gripe with Gifgaf is that at the end of my month my goodybag ran out, i fully expected to loose the rest of the 700 megabytes i had left. But i hardly used my minutes infact i still had 248 minutes left. But when my goodybag ran out i had no minutes left which i was quite annoyed and felt cheated. Can anybody please tell me if this is a normal practise of Gifgaf. I have vowed not to buy any more air time from them. Tethering: You can now tether on the £10 goodybag in addition to the gigabags as it no longer has unlimited data, instead a defined amount (1GB) that you can use in any way you like. Been with GG a month now and no real complains especially for what you get for your money. Considering what pathetic allowances other providers make and frequently change too! Giffgaff prices are great value, but I had a tremendous number of problems porting over my old number. I wasn't receiving texts and calls from landlines. Contacting their 'agents' by web means it's hours, if not a day, before you get a response. And all the delayed ping pong of trying to resolve a long running query with different agents, and constant re-explanation of the problem, in the end they're just copying and pasting the same 'resolution' to you over and over again so you just end up going round in circles. I'm sure there are many many satisfied users there, but my problem never got resolved and in the end, I had to port out to another provider to get the issue resolved. I think this article needs updating. GiffGaff are now doing a Blackberry addon for £3 per month and Goodybags can now be configured to renew automatically provided you have a debit card registered. Thanks for the heads up – I've just updated the article! I am on 3 UK pay monthly plan (24 months contract), being such a good internet provider, it's sad that 3 UK doesn't allow internet tethering on my plan (only the One plan will allow tethering). Last few days, I was so urgently needing tethering. I activated my giffgaff simcard which I have ordered earlier on. I was so happy that giffgaff saved my life with its gigabags. 3 UK really disappointing me. Although you state that there is no fair usage policy on the 'unlimited' data provision on the goody bags, I have discovered from reading giff gaff forums that people have been banned from giff gaff for using "too much" of their 'unlimited' data. As a natural last minute person, it would have been handy to have a warning that renewing at the last minute doesn't work. I'd assumed the topup was a bit flaky until accidentally seeing a post on the forum. That's a pretty minor gripe for what is a very affordable service. And I prefer getting help from the forum than a phoneline now! Liking Giffgaff – they offer a really good deal. I tend to go with the £10 monthly Goodybag and especially appreciate not needing to worry about exceeding the data allowannce. I had a problem with an unwanted voicemail notification solved in seconds through the forum. My only small problem is the purchase of a new Goodybag is not available for several hours on the day it runs out and this is not highlighted on the site, so I thought this was down to poor support until I came across a message on a forum. Thanks for your comment 🙂 How about queuing a Goodybag? The queued Goodybag should then start when your current Goodybag expires meaning you don't have this problem. 1 – you don’t need to unlock your o2 iphone to work on it. 2 – there’s more details on the website about the pricing of data. It seems to me a pretty decent deal! This seems to be almost identical to TMobiles £10 plan which offers 100 minutes, Internet, and 100 texts. I know gifgaf states unlimited texts but 100 is plenty for most. What I am interested to know is how much Internet will cost after 25 May. Their website doesn’t specify. It only states it us free until then say if you take the £5 plan. I’m currently with asda mobile using the vodafone network which is great at 8p a call & 4p a text with mobile Internet for 20p a meg. Thanks for another interesting and useful post. Is the GiffGaff network a 3G one? My PAYG O2 iPhone 3 GS will be available for unlocking soon and unless I decide the upgrade to the new model I will be looking for for the cheapest way to get G3 when my O2 deal expires. I hardly make any calls on the phone and so the GiffGaff £10 goody bag might be ideal – if it provides G3 internet access. It’s a shame it uses O2 as their G3 coverage is far from good. I know you covered this question of cheap G3 packages recently but I don’t think it included GiggGaff in the comparison. Thanks again you latest report.